Have your followers on your plastic surgery Instagram grown a bit stagnant lately? This isn’t uncommon. 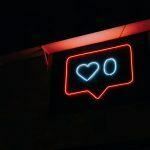 Before you think of investing your money into harmful software that can get your Instagram account banned, take a look at these tips for growing your plastic surgery Instagram followers from your experts here at Practice Affiliate. When it comes to gaining followers, it’s important to post consistently. This means that you should post at least once per day. When your account produces more content, there are more opportunities for your content to be seen. With a consistent schedule, you can expect your followers to begin to increase on the daily. Instagram’s algorithm will also work in your favor when you have more content. Your current followers can expect to see a lot more of you. We don’t recommend posting more than a few times a day, otherwise, your followers might begin to unfollow you. If all you do is post photos on the daily, try switching it up. Spend time each day to take an Instagram story of what’s going on your plastic surgery office. If you are performing surgery and you have the okay from your patient, take a live video of the surgery. Any content that you think your followers might find valuable or exciting is good content. Go outside the box and begin to post videos, go live to answer your follower’s questions and post stories on the regular. The more content that is out there, the more followers you can gain. When you go live on Instagram, this puts your story at the beginning of your follower’s feed, making you more relevant than other accounts they follow. If you are aimlessly using hashtags, do a bit of research first. 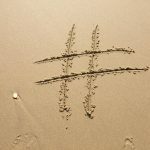 Take a look at our most recent blog about hashtags to learn how you can enhance your own hashtagging strategy. The better you hashtag, the more users that can potentially see your content and follow you. One of the best ways to engage with your followers and encourage more followers is by reposting their stuff. Whether your patient had beautiful nose job results that you want to show off or they took a killer sunset photo of your city, reposting your followers shows that you care. In addition, this will make other people want to be reposted by you. Tell your followers to use a unique hashtag for you to showcase them. One of the top ways to grow your followers is by collaborating with other Instagram accounts. @plasticsurgery is the perfect example of an account you should collaborate with. If you can have an account with lots of followers post one of your pictures and tag you for credit, this is an easy way to get your content seen by thousands of users. Collaborating with other accounts can help you gain followers and potentially new business friend. You can typically pay an account to post for you or even do them a favor to get them to post about your account. If you have your Instagram set to Business Account (which you should), take a look at your insights to see what times your followers are most active. Take a look at the times and days to see when you should be posting. Another way to grow your Instagram followers is by interpreting the analytics on your Instagram. Click on the insights once again to see which of your posts are doing the best. You can sort through the most impressions, the most comments, likes and etc. Try to find trends and use these analytics to improve future posts. It’s important to engage with your followers on both your posts as well as theirs. Go through your newsfeed on the regular to engage with your followers. Always make sure to respond to them when they message you or comment on your post. Lastly, engage with people who aren’t following you by finding their posts through certain hashtags or through the geolocation. One of the best ways to grow your followers is by simply throwing a contest. Give away a gift card by simply having your followers tag 5 of their friends in the comments as well as follow you. Make sure you thank each of them for entering! If you are only posting on Instagram, this isn’t good. Use the same content by cross-posting onto your Facebook, LinkedIn, Youtube and even Tumblr. This can help you gain more followers and it’s easy to do. 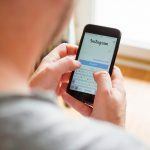 Try out these tips from Practice Affiliate to help you grow your followers on Instagram. Want to be featured on @plasticsurgery or one of our other Instagram accounts? Give us a call or contact us online to learn more. Our Instagram experts are here to help you grow your business.